Being major manufacturer and exporter of different kinds of workbenches and workstations, we offer economic range of workstations. Workstation is especially designed for different technical applications and also for various office environments. We provide standard quality workstation as well as customized workstations. Our work stations offer maximum flexibility. They are electrically adjusted in height. It is equipped with adjustable shelves, monitor stands, document holders, footrests and many more facilities. It is also suitable as material handling unit. Ergonomically designed work stations are appropriate for the standing and sitting arrangement. More over it supports elbows, forearms and wrist of the operator. Rounded safety edges and center justify frames help easy movement of the operator. By our space saving method all attachments are arranged with a proper specious manner. Fine quality of material and rigid welded joints supports daily use of workstation with hassle free operations. It is suitable for the sorting system and all type of environment of office and factory. It is favorably used for small working appliances. 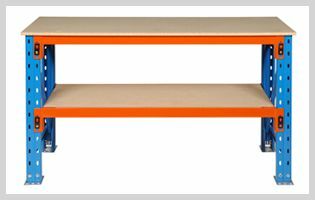 These rich featured workstations are useful in streamline products.